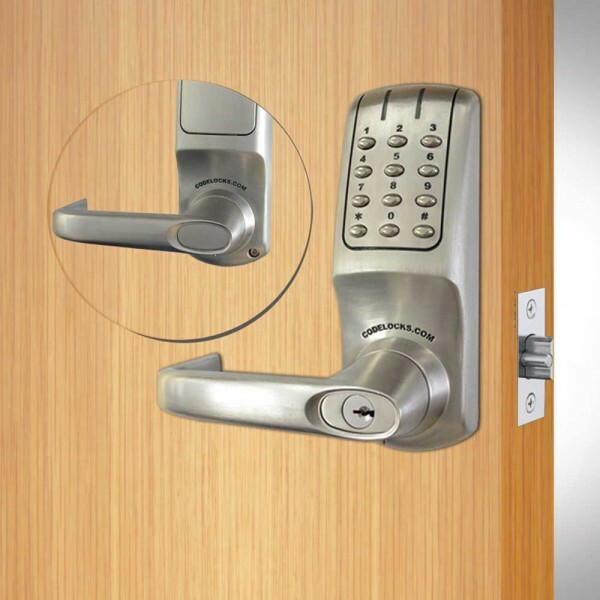 The outside lever turns freely without operating the latchbolt. When a valid code is entered and the blue LED lights, the lever will retract the latchbolt. 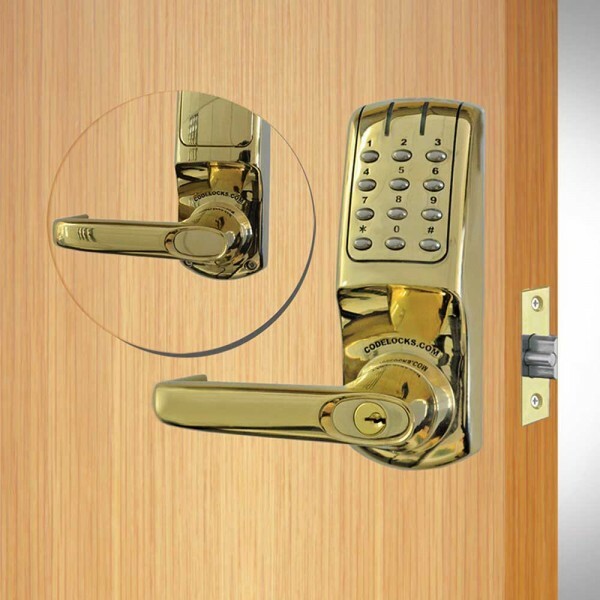 When the door closes the spring latch will automatically lock the door. The key will open the door for management functions. 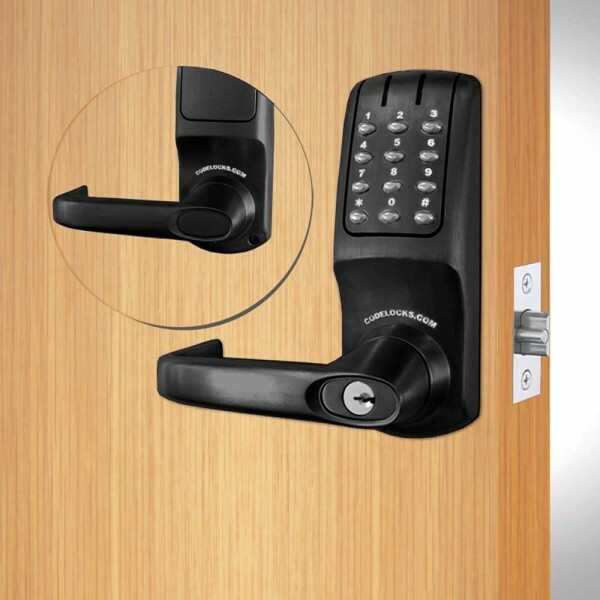 The key may be used to set the lock into Code Free mode so that anyone can open the door without using a code. Code Free Mode can also be programmed at the keypad using the Master Code.The lock can store up to 80 different User Codes. Codes may be 4, 5 or 6 digits long.Programming is via the keypad, using the Master Code. Over 200,000 operations from 4 x AA cells (provided).